Our range of products include plc automation control panel, drive control panels, ac drive panel, vfd control panels, dc drive panel and extrusion machine heating control panels. 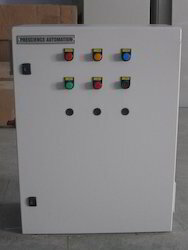 We are offering PLC Automation Control Panel to our client. We offer to our valuable customer Drive Control Panels. 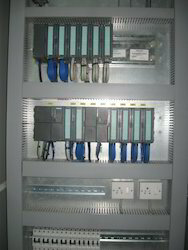 We offer this drive control panel in variable frequency drive. Fully equipped with all the necessary switch gears this panel finds its wide applications in the global arena. We are offering AC Drive Panel to our client. We offer wide range of VFD Control Panels to our valuable clients in various size and shapes. These VFD control panels supplied by us find wide application in several industries industries like auto mobile, engineering, water treatment plant, effluent treatment plants, paper and printing, chemical and process plants. 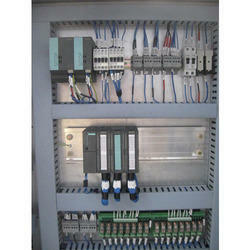 We are engaged in manufacturing of DC Drive Panels which are widely used in various process industries. Our company is involved in the manufacture of a variety of products which is inclusive of PLC Control Panels which are of an excellent quality. We have managed to carve a niche in the market due to the high quality of raw materials which we supply to the clients. Our products are made as per the quality standards set by the industry using the best quality of raw materials available in the market which have been procured from well known market vendors. We are one of the best leading manufacturer, supplier, trader and service provider of an extensive array of MCC Panels. 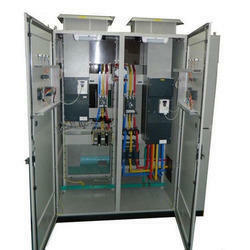 Our MCC Panels are known as Motor Control Center Panels. Our MCC Panels can be operated easily manually and automatically. These MCC Panels are connected to power supply, and control circuitry in the form of analog or digital input signals. Our MCC Panels are widely used for its high reliability and long lasting use. We are providing these multipurpose MCC Panels at convenient range of prices. 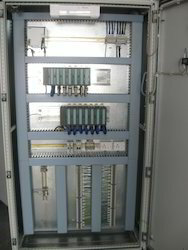 Depending on application, we prepare the I/O List and select PLC, HMI and/or SCADA with the consideration of Program Memory, Data Memory, communication Interface and Input/output Modules.Capitalizing upon sound infrastructure, we are able to manufacture, supply, trade and provide service for excellent quality PLC Panels. These PLC Panels are Programmable Logic Controller. Our PLC Panels are able to provide energy efficiency and safety. These PLC Panels we provide are highly reliable and provides excellent performance ideal for monitoring and controlling. Our PLC Panels are manufactured with our high skilled workers and engineers. We provide PLC Panels for individual and commercial use. Looking for Control Panels ?